Tallinn best places to visit - top Tallinn travel tips & things to do. How to Get Around in Tallinn? 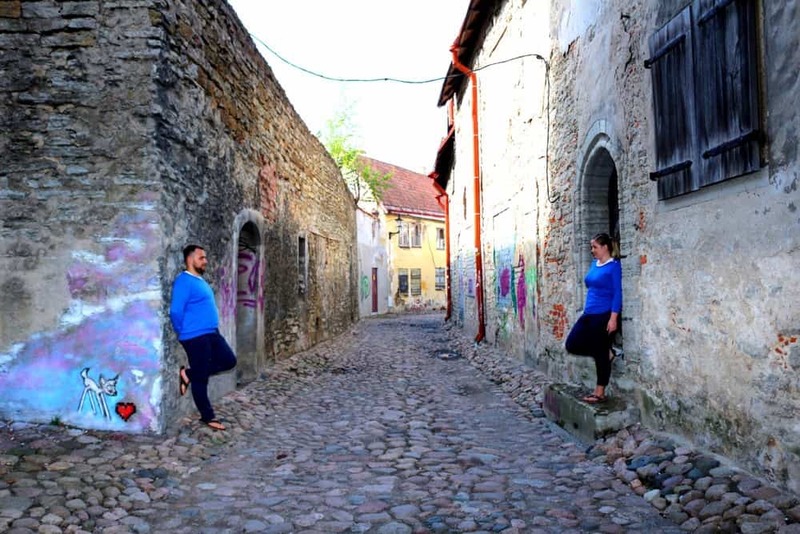 Before our epic Baltic countries road trip, all we knew about Tallinn was that it’s a capital city of Estonia and that it’s far on the North and East of Europe. 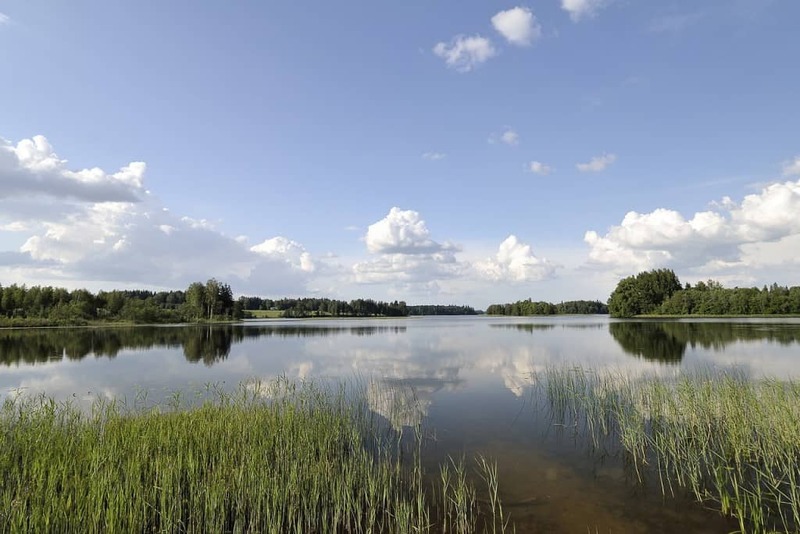 We love discovering new places and going off the beaten path, so we decided to give it a try and travel to the three Baltic countries: Lithuania, Latvia and Estonia. 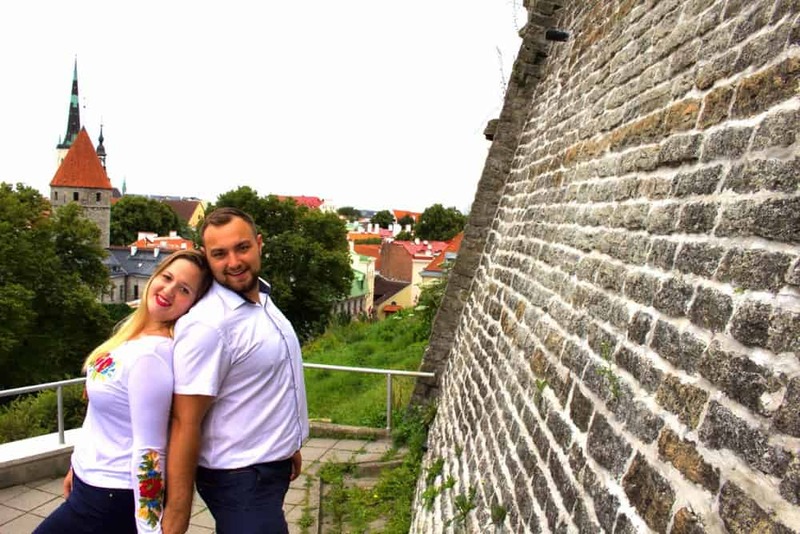 Tallinn was the first place that we visited… and we felt in love with it immediately! It has one of the most beautiful Old Town Squares that we have ever seen. This city is charming, lovely and has a lot to offer. 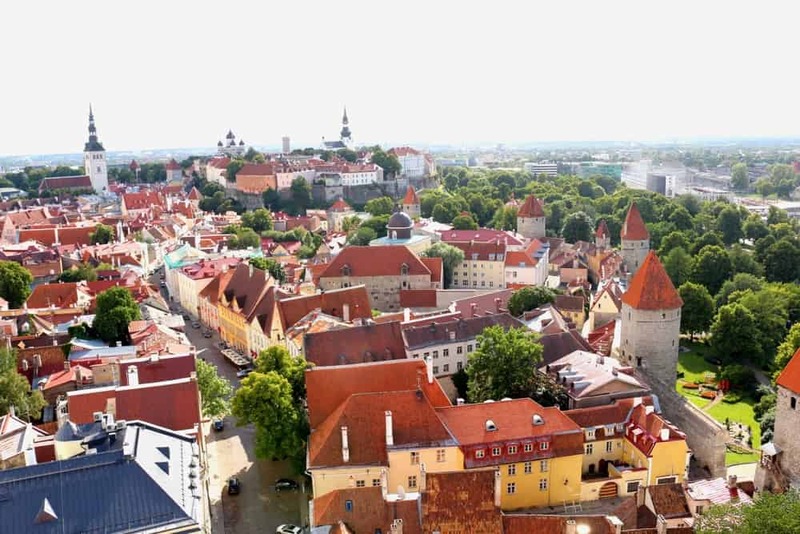 In this post we’re sharing with you top Tallinn Estonia things to do and best places to visit in this city. We hope this guide will fuel your wanderlust and inspire you to explore the capital of Estonia! The church itself is rather average. It looks nice both from the inside and from the outside but there is nothing spectacular about it. Why is it worth to visit St Olav’s church then? To go to the tower! 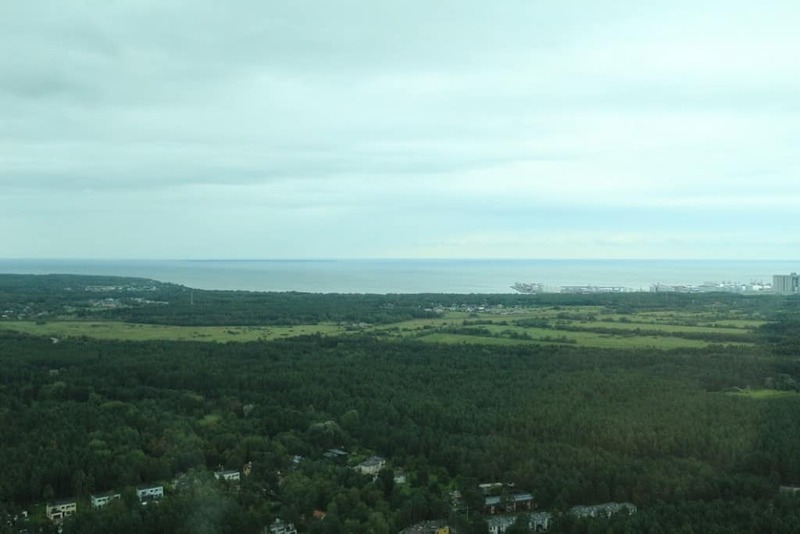 The views from the top of it are absolutely breathtaking, the best that we have seen in Tallinn. You can take awesome photos of Old Town Square and Baltic Sea. St Olav’s Church is a part of almost every Tallinn guide book. 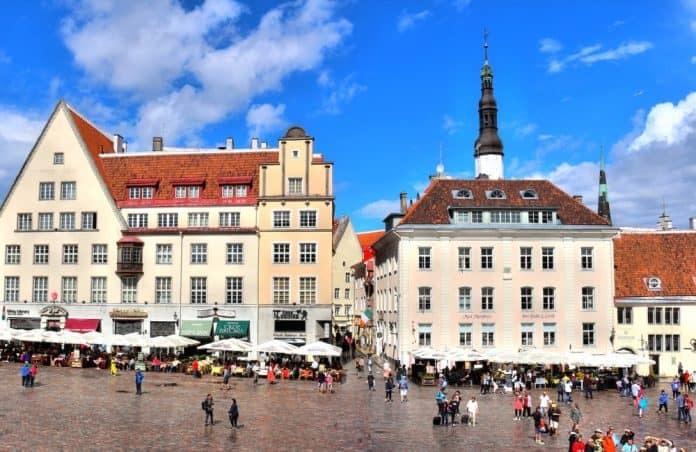 Old Town square is a must for your Tallinn itinerary. Medieval buildings remind the visitors of the rich history of this place, including wars and Russian regime. This is a very picturesque spot. We spent three afternoons wandering around the narrow streets of Tallinn’s Old Town and taking photos. So if you go there, be sure to take your camera and have a lot of time to see everything! Old Town is one of the best places to visit in Tallinn. TV tower is a place worth visiting because it is the highest building in Estonia. To be honest, there is nothing special about it comparing to other countries. The observation desk is situated on 21st floor which is not very high. What we liked about TV tower is that you can learn a lot there about Estonian culture, history and law. The most interesting fact that we have found there is that all citizens of Estonia have ID cards with chips. Why is it great? Because they can get the all important things done online. For example vote in parliamentary and local elections from any place in the world. How awesome is that? Skip the line and book your ticket to TV Tower online here. Want some thrill? Book your walking on the edge of TV Tower tour here. Walking on the edge of TV Tower is one of the most interesting Tallinn activities. Alexander Nevski Cathedral was the first building that we saw in Tallinn. It’s breathtakingly beautiful. We spent more than an hour taking photos of this Orthodox Church and getting to know more about it. The cathedral is colourful and monumental. It was built a little more than a hundred years ago. What is interesting- very similar church existed in Warsaw, the capital city of our homeland. It was demolished after the World War I when Poland regained independence from Russia, Austria–Hungary and Prussia. Is Estonia worth visiting? Yes, the country has many beautiful monuments, including Alexander Nevski Cathedral in Tallinn. Kohtuotsa is one of the best view points in Tallinn. It is a perfect place to visit anytime you want. In the early morning, when the weather is good, you can take photos of an amazing sunrise there. During the day you can admire the beautiful landscape of Tallinn. In the late afternoon Kohtuotsa is a perfect spot to watch the sunset. And of course we can’t imagine better place to take photos of Tallinn at night. Looking for Tallinn best places to visit? Go to Kohtuotsa view point. Toompea Castle is the landmark of Tallinn. It is situated on the hill and according to the myth, it was built by Linda (very important character in Estonian mythology). Nowadays, the castle houses the Parliament of Estonia, so it is not interesting to visit (at least not for us!). The Toompea hill is beautiful and picturesque though. It is worth to go there and take some awesome photos of Tallinn’s Old Town from the above. If your time in the capital of Estonia is limited and you wonder what to see in Tallinn in one day, Toompea castle is a must. Looking for weekend Tallinn inspiration? Go to Toompea Castle. 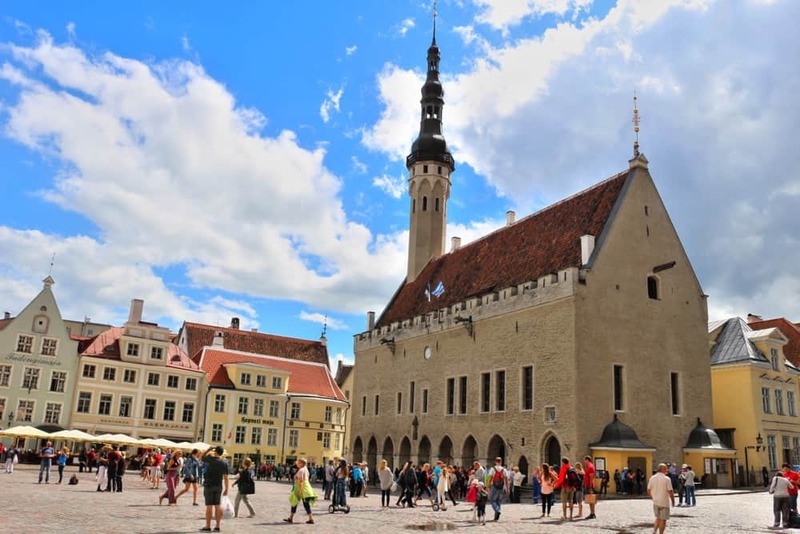 Situated in the heart of the Old Town Square, Town Hall cannot be missed by any tourist visiting Tallinn. It looks great from the outside and it is quite interesting from the inside. You can learn there some interesting facts about the history of Estonia. What we liked the most about Town Hall is that we could take awesome photos of an Old Town from there. Is Tallinn worth visiting? Yes, it’s one of the most interesting capital cities on Europe. This is something unique! Open Air Museum is one of the best museums in Tallinn. It is situated quite far from the city centre. It is definitely worth visiting though. 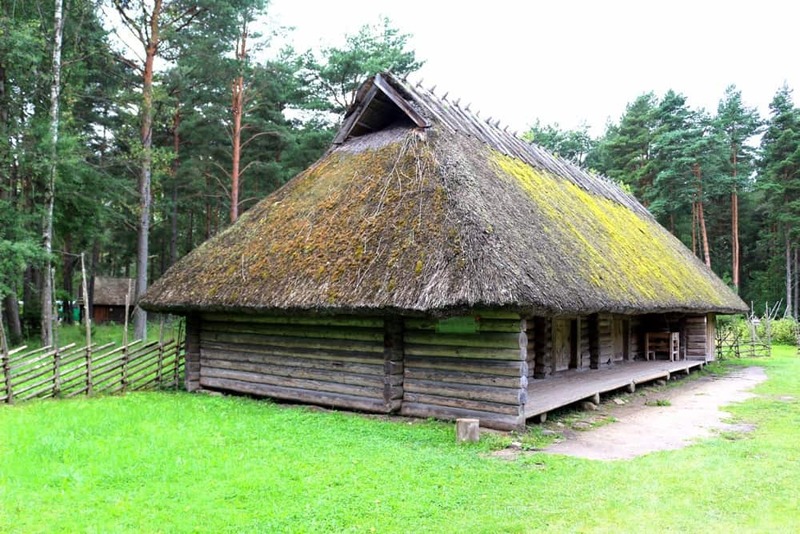 You can see there how the people lived in the past and learn a lot about Estonian history and culture. 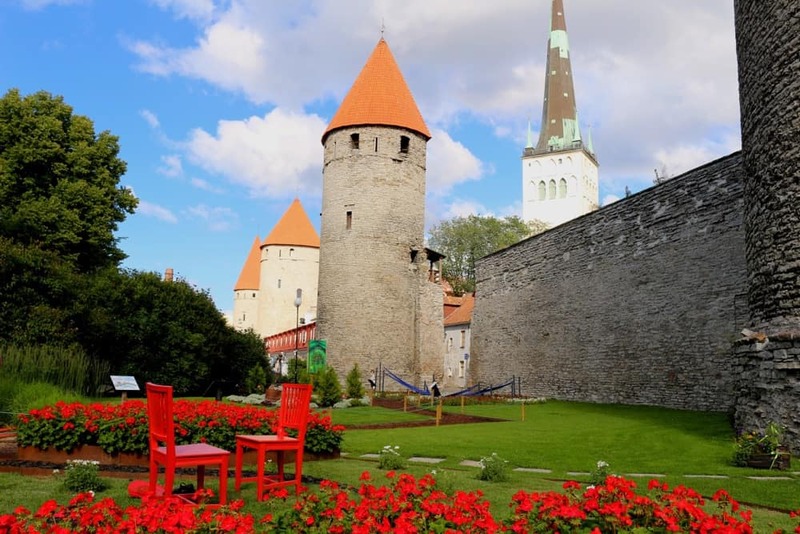 Skip the lines and book your Open Air museum Tallinn sightseeing tour online. Open Air museum is one of the best museums in Tallinn. Kiek in de Kok is one of the most important bastions in Tallinn. Visitors are allowed to climb up to the top of the tower or visit the basements of this building. We chose the first option and we don’t regret it- the views from the highest floor of Kiek in de Kok were amazing! There is a small coffee shop there, so you can buy yourself a drink and relax, surrounded by the beautiful medieval interiors. Kiek in de Kok is one of Tallinn things to see. We stumbled upon a Pirita promenade when we were searching for the best place to watch the sunset at the Baltic Sea. As you can see on the photo below, this spot is just perfect for this! There’s a beach close to the promenade, so you can sunbathing or even swim in the sea if the weather is good. It is a great place for walking, jogging and riding a bike as well. 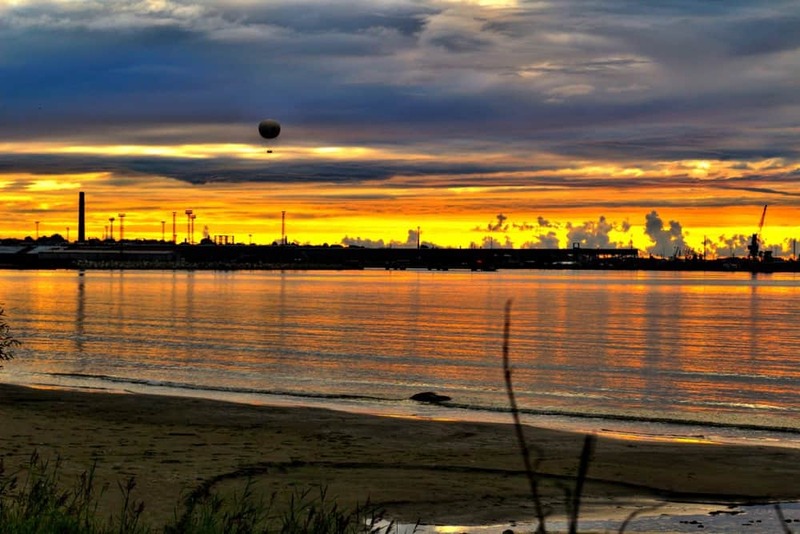 Visiting Pirita promenade is one of the free things to do in Tallinn, so it’s a perfect place for budget travelers. Pirita promenade should be a part of all Tallinn excursions. There is no better way of see all the important Tallinn sights, then by walking. Going up the Toompea Castle’s hill or wandering around the medieval streets of the city will definitely be an unforgettable experience. This 2 hour Tallinn walking tour by Get Your Guide is the best you can take. You will see the highlights of the city and be guided by the local. If you’ve already wandered around the city by yourself, check out Communist Tallinn walking tour. Did you know that Estonia was a part of Russia for many years? It became independent in 1991. You will hear many interesting (and sometimes scary!) stories about the Soviet Union during this tour. One of the best way to experience Tallinn nightlife and meet new people is joining Pub Crawl Tallinn tour. Spend 5 unforgettable hours with folks from all over the world, drink, have fun and party! All of that for just 15 euro. Book the Pub Crawl Tallinn tour here. Try the best Estonian craft beers and snacks. In contrary to the Pub Crawl Tallinn tour, you won’t need to go anywhere. All the tasting takes place in one restaurant. Book Tallinn Craft Beer tour here. Escape Rooms are getting famous all over the world. No wonder why! It’s so much fun to solve the riddles with your friends, and trying to leave the room your are locked in as soon as possible. Going to the Escape Room Tallinn is one of the best things to do in Tallinn in winter. Book Escape Room Tallinn Tour here. Traveling on a budget? 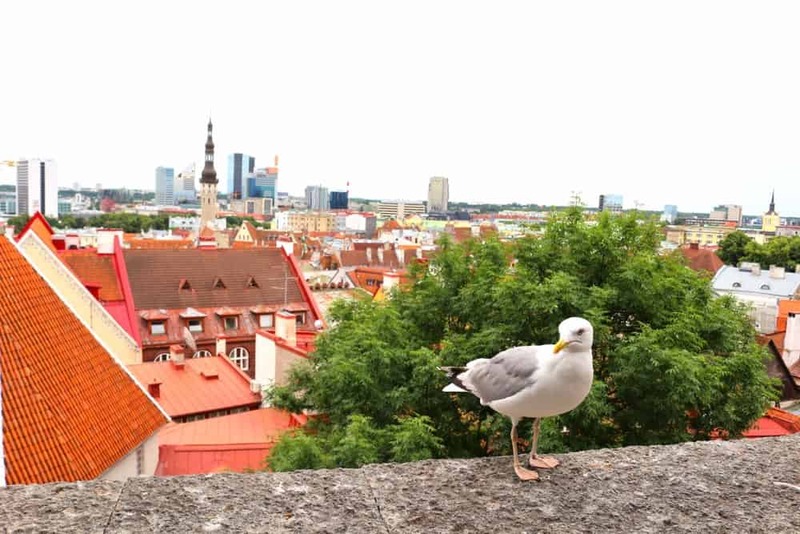 Check out Tallinn Free Tour. 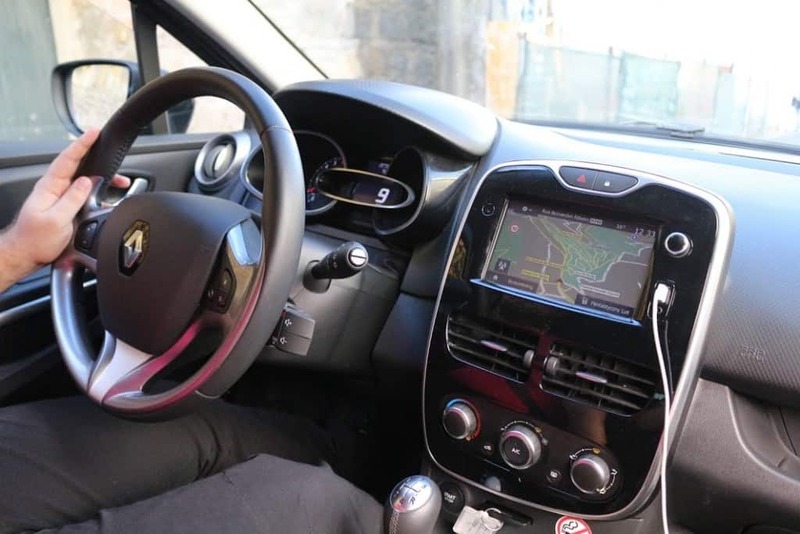 Perfect option for those who want to see all the important places in the city in a fast and easy way. If your time in Estonia is limited and you wonder what to do in Tallinn in one day, hop on the Tallinn sightseeing bus. You will be taken to the best tourist attractions in the city. You can either stay in the bus for the entire time or leave anytime you want. The tickets are valid for 24, 48, or even 72 hours. Skip the lines and book Tallinn bus tour online here. If you want to try the best food in Tallinn, be sure to join a guided food tour. You will have a chance to eat some of the best Estonian dishes. 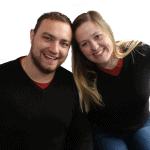 Book your Tallinn food your online here. If you want to try the best food in Tallinn, be sure to join Tallinn food tour. 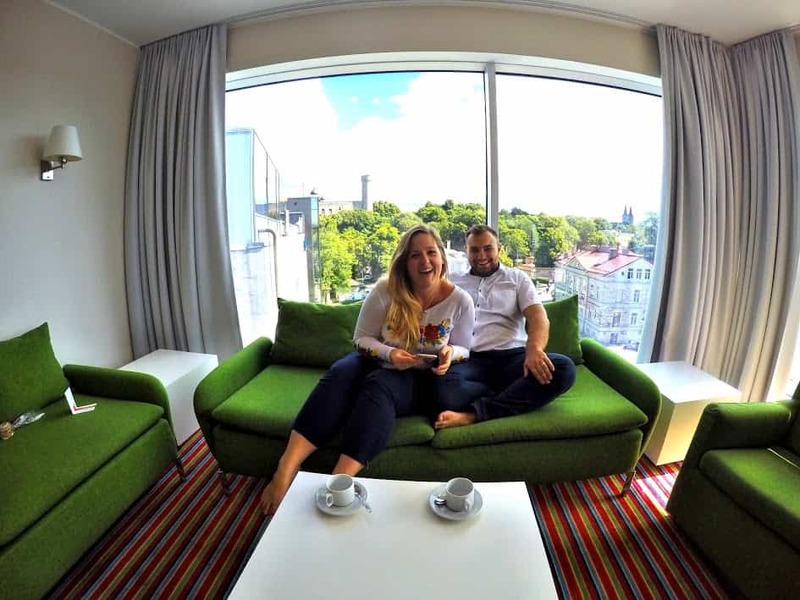 We have been staying at Park Inn Radisson Tallinn Spa hotel and we absolutely loved it! It’s located within the walking distance to all the important places to visit in Tallinn. There is a swimming pool in the hotel, as well as 2 restaurants and a bar. When it’s cold outside and you are not sure what are the best things to do in Tallinn in winter, you can just stay in the hotel and still have fun. The prices at Park Inn are affordable, you will pay about $65 for a double room. It’s a family-friendly place, so if you are traveling to Tallinn with kids, you will find there all the necessary amenities. Park Inn also serves one of the best breakfast Tallinn. More about this Tallinn Spa hotel here. Book your stay at Park Inn Hotel–> here. Looking for best places to stay in Tallinn? Choose Park Inn by Radisson Tallinn spa hotel. If you are traveling on a budget, consider staying at one of Tallinn’s hostel. The recommended one is 16eur hostel. It’s located in the heart of the city, it’s clean, comfortable and really cheap! The bed in the dormitory room costs as little as $10 for a night! Book your stay at 16eur Old Town Munkenhof here. If you traveling in a group, looking for Tallinn family hotel, or you simply want to feel like home, consider choosing Airbnb Tallinn. You will have a fully equipped apartment, and be able to experience Tallinn like a local. Choose Airbnb Tallinn and get $36 off of your first stay—> click here. If you want to feel like home during your stay in Estonia, choose Airbnb Tallinn. Tallinn food may not be world famous but it’s really good. 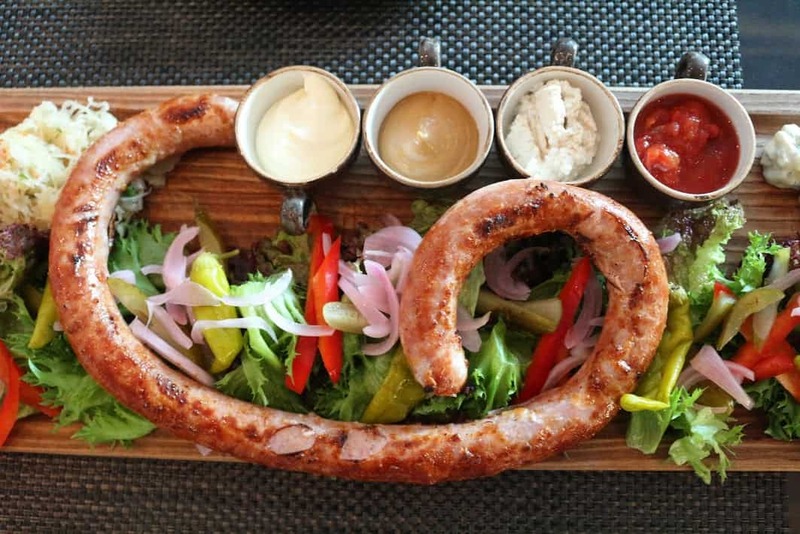 Here are some of the recommended places to eat in the capital of Estonia. For the best Tallinn breakfast, go to F-Hoone. They serve delicious food, with gluten-free, lactose-free and vegan options. Prices are starting with 2,50 euro for a meal. The restaurant is located a bit outside the Old Town, about 15 minutes walking from Alexander Nevsky cathedral. The second place worth recommending is Bogapott. It’s located closer to the Old Town. In the summer, you can sit outside, in the courtyard (like we did). Bogapott serves not only delicious food but also amazing coffee. If you are looking for the best fast food Tallinn, head to Jahu Tanavagurmee for the best burgers ever. More about best food Tallinn here. Hands down, if you are looking for the fine dinning Tallinn, there is no better place than Cru Restaurant. It’s located in the old town, so it’s very easy to get there. Not only CRU’s food is delicious but it’s also beautifully served. Yummy dessert at CRU restaurant. 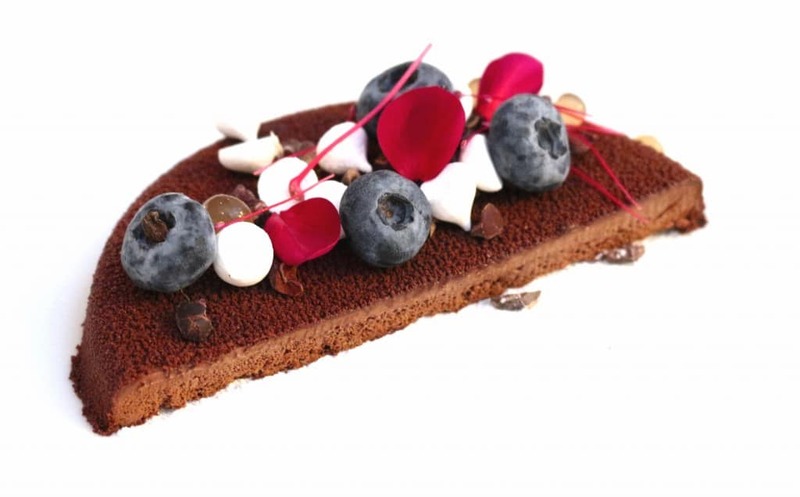 If you are looking for the fine dining Tallinn, there is no better place to go. Don’t know how to get to Tallinn? Check out best direct flights to Tallinn. If you are staying in the city center (which is the best area to stay in Tallinn), you can easily walk everywhere. There are some places though that you will need to travel to, for example an Open Air Museum. Click here to find the best car hire in Tallinn. Car hire Tallinn is the best way of getting around the city. The second most convenient option. You can either use the local taxi provider, or travel cheaper with Tallinn Uber or Taxify (click to get the first ride for free). Tallinn taxi fares are pretty low, so this way of getting around is affordable, even for the budget travelers. The ride from the city center (Alexander Nevsky Cathedral) to Open Air Museum will cost approximately 6 euro. A ride from Tallinn airport to city centre costs less than 9 euro. It’s a good choice only when it’s warm enough outside (April-October). It will probably be too cold for biking during a wintertime. 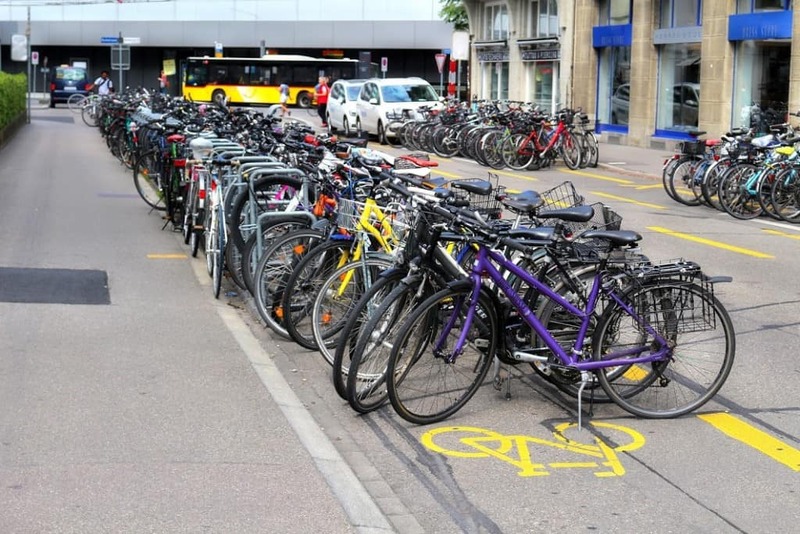 The price for renting a bike in Tallinn for one day is about 15 euro, with 100 euro deposit. Check out the full pricing here. Interested in Tallinn bike tour? Check it out here. It’s good to know that public transport in Tallinn is not operating 24/7. While in the capital of Estonia, you can travel by trolleys, buses or trams from 6 am until the midnight. If you are getting back from a party late at night, you can either walk or take a taxi. One way ticket costs about 1 euro. 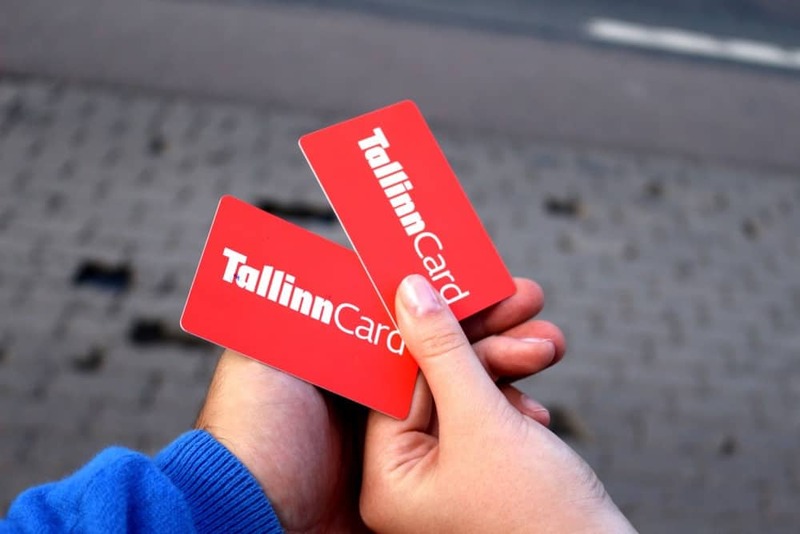 You won’t pay anything with Tallinn Travel Card (more about it further in this post). Here you will find more info about Tallinn public transport. A winter capital of Estonia is great to visit all year round. We’ve been there on July, and we felt in love with this small, lovely town. 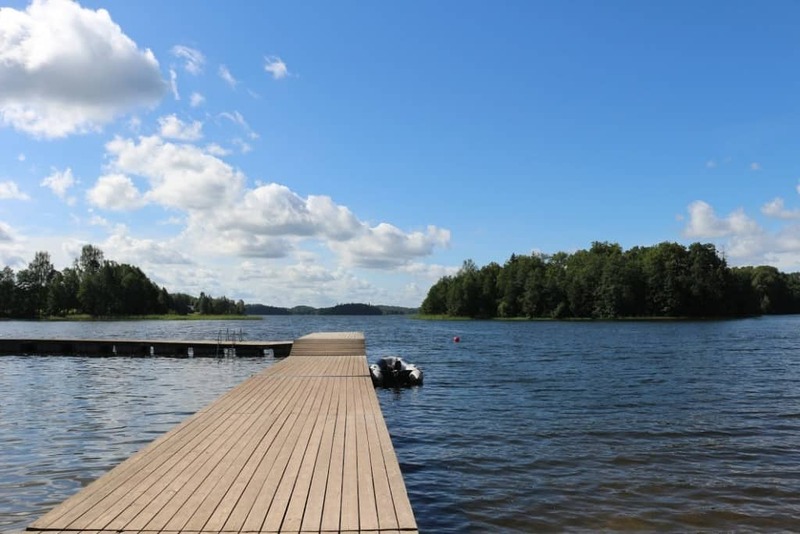 Even though it was the middle of the summer, it was too cold for us to swim in the Holy Lake (Pühajärv). If you are a fan of the winter sports, there is no better place for skiing in Estonia than Otepaa. The biggest tourist attractions in the town is Tehvandi Sports Center. Distance from Tallinn to Otepaa: 224 km, less than 3 hours driving. Otepaa is a great idea for a day trip from Tallinn. A must visit for all the nature and architecture lovers! Lahemaa National Park is one of the largest in Europe. It’s the best place to learn about the history of the country and get to know the local culture. You can either get there by car or join one of the guided tours. The second option is recommended, as you will be able to see Jagala Waterfall on your way. Distance from Tallinn to Lahemaa National Park: 47 km, 40 minutes driving. While Tallinn is an administrative capital of Estonia, Tartu is considered as a financial and political capital of the country. The city has a beautiful old town, it’s not that touristy. 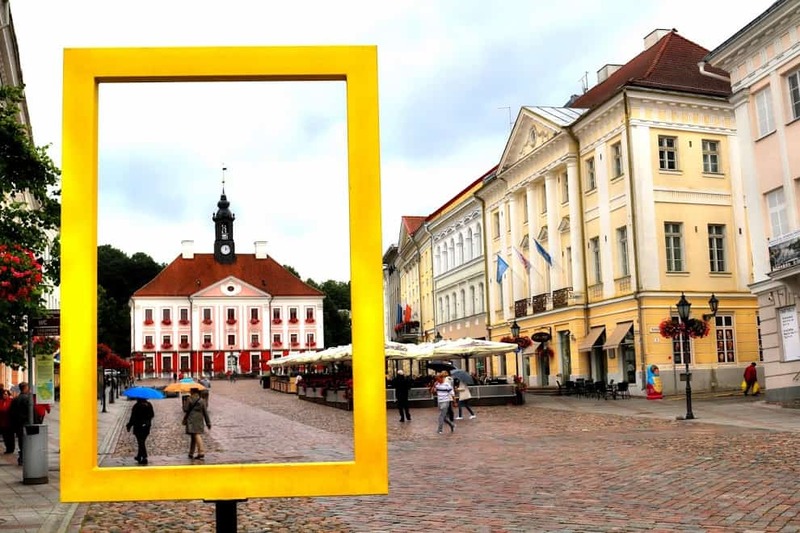 Going to Tartu was our favorite day trip from Tallinn. Distance from Tallinn to Tartu: 185 km, 2 hours 15 minutes driving. Looking for best Tallinn day trips? Visit Tartu. The capital of Estonia is located by the Baltic Sea, just like the capital of Finland. 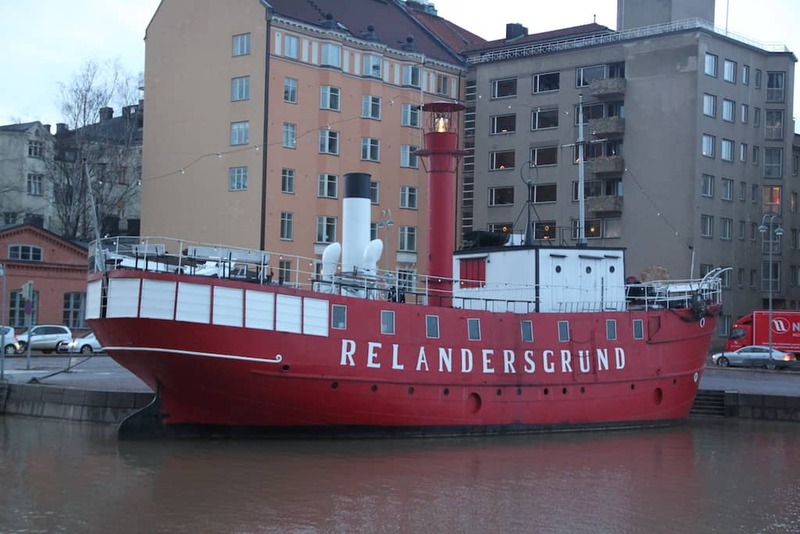 If you are looking for the best Tallinn cruise, take a day trip from Tallinn to Helsinki! Book your ferry ticket online here to save your time and money. Distance from Tallinn to Helsinki: 85 km, 3 hours 30 minutes by ferry. 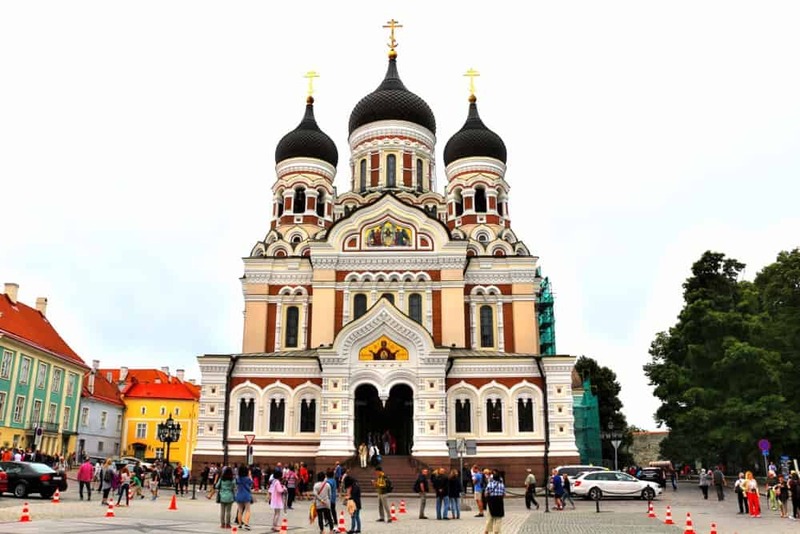 Helsinki – Tallinn cruise is one of the best idea for a day trip while in Estonia. If you are looking for more interesting places to visit near Tallinn, check out this post. Money exchange Tallinn At the airport or in the city center. Use Multicurrency Card to reduce the fees. When we were planning our stay in Tallinn, we weren’t sure where we should go. Our time in this city was limited, so it was difficult to choose places that were worth a visit the most. We found VisitTallinn very helpful. On this website, you can read all the important facts about the capital of Estonia. What to see, where to eat and more. This is the most reliable and helpful source of information about Tallinn that we have found in the Internet. They also have pretty interesting Tallinn shopping guide. Tallinn Card is the best thing that you can buy when visiting the capital of Estonia! For a little money, you have an access to almost all the museums in the city, public transport and hop on hop off bus. 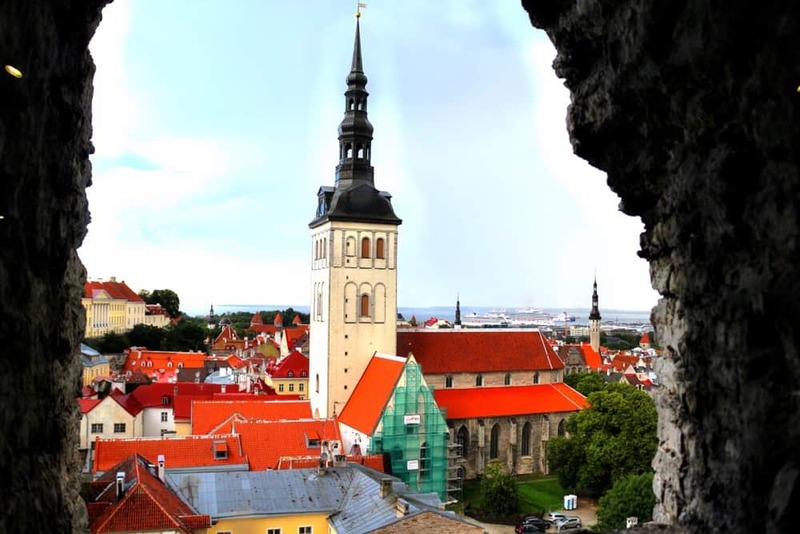 All the attractions that are mentioned in this post were covered by a Tallinn travel card. You can buy a card for 24 hours (for 32€), 48 hours (for 42€) and 72 hours (for 52€). Children always pay half a price. Here you can read more about a Tallinn Card. Disclosure: We want to thank VisitTallinn for a complimentary stay in the city. All opinions presented in this post are honest and our own. Have you ever been to Tallinn? Was this post helpful or informative for you? Share your thoughts in comments! The Old Town is definitely a place I would like to explore. It reminds me of Warsaw city and its Old Town! Loved being there! Yes, it’s pretty similar. But the Old Town in Tallinn is older, from the medieval times :). I love this city, and pretty much saw everything you mentioned. Old Town can easily get very crowded with cruise ship tourists — an excellent escape from that is the fantastic Kadrioru Park, just a short tram ride from Old Town. Such a nice and easy word article all the basic information’s are given in this article thanks for sharing this keep posting.